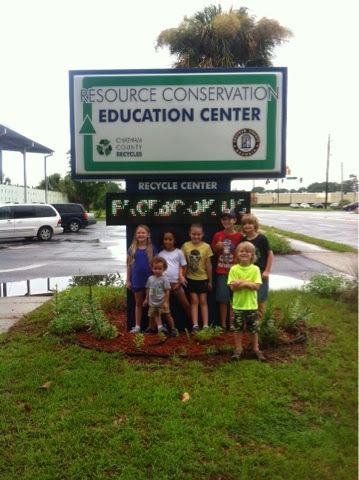 We went to the resource Conservation Education Center in Savannah. We learned that the whole building is made of recycled materials and all the lighting is made with energy saving bulbs and systems. They had it set up where the lights go off on their own when the re is no movement. Sometimes if we were still to long they shut off. Though they come on when you walk in so it is nice not to have to turn lights on and off. We also recycle things that the city doesn't pick up. 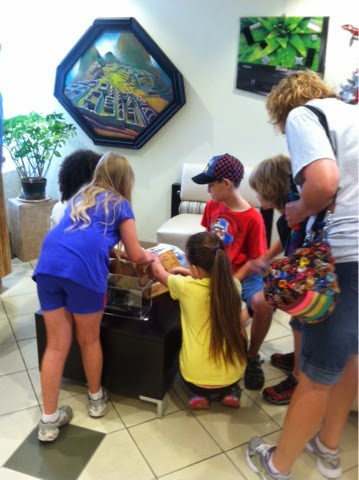 They take old electronics, the kids found all kinds of cool old things. They also take old car oil and eye glasses. One thing I found impressive is they take used shoes to give to people that can't afford some when starting their journey to look for a job. It is great to see those kind of programs being ran. I think if you are in or around Savannah Georgia you should look them up and help support them.